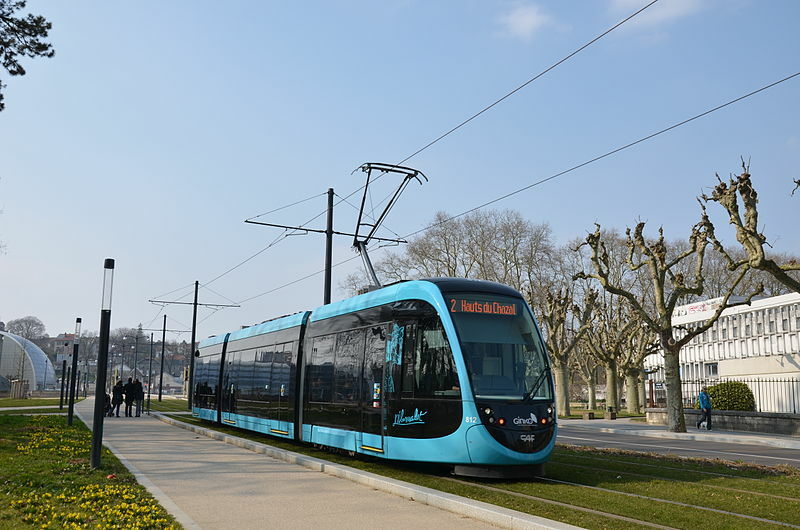 Besançon after the opening of its modern tramway. Urban tramway (First generation, electric): 6 May 1896 - 24 Dec. 1952. 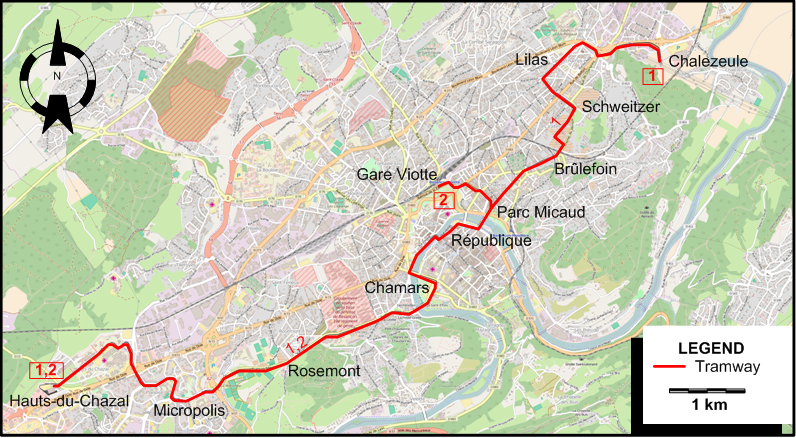 Urban tramway (Second generation): 30 Aug. 2014 - today. Tramway (first generation): 1000 mm. Funicular (Funiculaire de Beauregard-Bregille): 1050 mm. Pulling, N. "Systems Factfile No.107: Besançon, France", Tramways & Urban Transit, Sept. 2016 (79: 945), p.352-356.